I brew it on the tiled pantry floor, which here in Perth is only 17c at the moment, when it is a lot hotter, it's 24 hours in a fridge - not my preferred method though. And forgot to mention that the topping up to 2l is with unfiltered cold tap water. Thanks, I had assumed cold water. 16 hours with 85°C water would not be tasty! After a good few threads about the Lazzio, decided to give it a try. did not like it with milk. (oddly?) Just tasted the roast. Can't argue about the cost though. Pulled 6 shots to get it where I liked the espresso. On middle ground whether to retry in future or not. The fact is aldi lazzio beans has the shortest time between the roaster and availability on the shelf ( as stated above; about 3 weeks then downhill from there ) , which is the single most important fact contributing to its quality. There is nothing else available in any other supermarket regardless of price. If i'm caught without i'll whip out the popper - quicker and much much better than going to the shopping centre for single origin lazzio brazil or the med. roast blend. Far better to keep ahead with the fantastic quality greens(or roasted) from beanbay. As stated above re: use by date, count back from 15 months. That is my two cents worth, thankyou.Cafelazio. p.s. my handle Lazio (capital Rome, refers to region of Italy) is ref. where my family is from. Dimal, Yelta and CafeLotta like this. 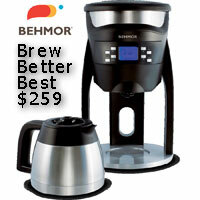 I always have fresh beans roasted in my Behmor. I let them mature for a week or so in a sealed bag. Many good commercial roasters put the date roasted on the package. Supermarket beans often have a use-by date up to two years post roast by which time they would best be used as a garden mulch. cafelazio and 338 like this. Today I bought a 200g bag of Woolworths Macro Organic Coffee Beans for $6. After being disappointed with 2 x 250g bags of Wolff coffee which cost me $35 including postage, I thought I'd try these. The use by date is 13/5/2020. They're medium roast and Fairtrade. I was prepared to be disappointed but I was pleasantly surprised! It took me 3 goes to get it flowing correctly because I started off with the grind at #12 as per my instruction book, but they ended up as a #23 grind, the same for Zimmah and Wolff Beans, which were both freshly roasted and 1-2 weeks old by the time I tried them. These Woolies beans had more/better flavour than the Wolff beans (Edelweiss and Big Dog) and didn't leave an unpleasant/bitter taste lingering on my tongue for a while afterwards. Tomorrow I'll try them as a split double espresso instead of a double ristretto (or my version of it - I'm a newbie) but they will be good to buy again when I don't want to spend a lot on coffee. I've already spent $55 in less than 2 months on beans and I only have 1 coffee per day. (I disliked the Edelweiss so much I stopped using it after the 4th latte/mocha - chocolate didn't improve the taste, sadly). The Woolies beans taste similar to Zimmah's The Devil and the Deep but not as complex or quite as rich - but pretty good for $6! My wife thinks this is just the very best coffee she has ever had. Using 1kg Lazzio MEDIUM ROAST beans from ALDI. It makes 2x 300Ml cups with a chocolatey flavour. 16.8 seconds on the Breville Smart Grinder Pro, set to number 9. This produces 14g (7g per cup). 1 teaspoon of sugar in each cup, then place under the portafilter and let coffee pour into the cups. Single cup = 210g of whole milk, steamed to 70.0deg C.
Two cups = 420g of whole milk, steamed to 70.0deg C.
Sounds nice! We don't have an Aldi here in Tassie :-( unfortunately or I'd probably try them! Don't worry you're not missing that much. A couple of weeks ago I bought some Lavazzz Perfetto Espesso, on offer half price price $15 per kilo at Coles. For the price they are good value for milk based drinks and superior to Aldi beans. Make no mistake these beans are stale, however, if you need to save money they're well worth having around. All stale (supermarket) coffee is on the bitter side, this is masked with the addition of sugar and even more so with steamed milk. I've had some hits and misses with Aldi Lazzio Colombia. Some of the best coffee I've made for some bags, and some that I regret buying. I've found that the quality differs from store to store. Perhaps it's an issue of how quickly a particular Aldi store turns over it's stock? In the same week, I bought one bag from one Aldi store with Best Before 3 March 2020, and another bag from another Aldi Store at 30 April 2020. Anyone tried the Lazzio Peru SO ? On sale now. Pulls a pretty decent shot, sweet and chocolatey finish over a latte. There are quite a few fans of the Aldi Lazzio offerings mainly due to price and reasonable freshness due to turnover and local roasting/supply (in Melbourne at least, not sure about interstate). I've tried 3 different Lazzio Single Origin varieties (Colomian, Brazilian and Peruvian) out of interest and haven't come across stale beans yet. You can't knock the value and for those starting out will save you heaps while you're experimenting and learning. Once dialled in they're quite reasonable. The more recent ones seem to have moved on from the overly light roasts of some of the earlier ones that I tried. What is the freshest that you have found in Melbourne, CafeLotta? In NSW, the freshest that I have found (assuming that their 'best by' date IS 15 months post-roast) is 3 weeks after roast date. Can't recall exactly but 2-3 weeks was the freshest I think from my local Aldi. Of the one's I've bought, some have still been degassing in the unopened bag, some had finished. Quality of the crema is a good indicator and some of the slightly "older" ones I tried were still OK with good crema. Bear in mind that usually you pay 3x (at least) as much for quality fresh roasted and many need 2 weeks post roast to get the best out of them anyway. Stored properly, especially after opening, the slightly older beans are still good value. For the price, you can try a bag and if not to your taste, toss them, wait a week and see if a fresher batch has arrived. I've only tossed 1 or 2 bags which were the Lazzio Brazil Yellow Bourban for too light a roast, not age. You can read more if you search "Aldi Unpacked - Supplier Spotlight: Black Bag Roasters". Last edited by CafeLotta; 1 Week Ago at 11:58 AM. I'll stay out of this, my views are pretty well known, don't need to reiterate them. After all, I am a Coffee Snob. if you must buy supermarket beans, lazzio is at the top of my list. followed by no-one else. I really think that there is too much useless S in some CS posts. The Lazzio Colombian is good enough for me to use it for "new alien setups" to dial everything in, and I have no problems imbibing a bit along the way. After all, my preferred SO roasts vary from $50 to $75 per kilo. The Aldi is $12 and is a lot better than any cafe coffee I ever had in one particular eastern states capital (that thinks it rules Oz, if not the world). OK, I prefer the dearer ones but no way is it a factor of five to one! When I was broke a few years back I ended up doing a deal to keep a cafe running properly and helping them develop some roasts in exchange for decent coffee beans. If Aldi had been in the west at the time I would not have had to do that. Yesterday I would have bought some Aldi beans to help set up my new (espresso making) toy IF I wasn't still so time poor that I cannot see said time being available for a week or four yet. I am not about to do two or three kilos worth of tinkering with an expensive roast when I will only be sipping a tad before spitting it out. Back to paragraph 2 - the Aldi is well and truly good enough to set precision gear up. To roughly quote Cher from memory (that is a first for me) "I have been rich and I have been poor. Being rich allows you to be more comfortable in your misery". Or if you prefer - I would prefer an OK coffee to none at all, and the Aldi is way better than OK.
simonsk8r, CafeLotta and buderim11 like this. I'll stay out of this, my views are pretty well known, don't need to reiterate them.After all, I am a Coffee Snob. To quote ancient Roman poet, Lucretius: "one man's food is another man's poison". But yes, this is CoffeeSnobs and the quest here is for better coffee, not compromising quality for price. Just returned from an OS holiday. As I didn't have anything already roasted, rather than visit Aldi (I was tempted to) I bought some beans from the food chain, 'Soul Origin' which not only had a 'roasted on date' less than a week old the label provided recommendations on shot weight and yield. Their signature blend is Brazilian + Columbian which is sweet and smooth even though my preference is for bolder flavors. I think the quest for better coffee has many different paths that don't necessarily have the same endpoint for everyone. People will find a price v quality option at a level that suits their needs at the time. Equipment, experience/skill levels and palate are all part of the equation too. I've paid good money for higher priced coffee that didn't always deliver. I gave up on my first boutique roaster when the quality faltered for the second time. Another name roaster I once bought from also had consistency issues which I couldn't excuse at the price I was paying. Taking into account batch and seasonal variations, I think if you charge a boutique price you should be able to adapt and maintain the same high standard regardless. Selling a roast that you didn't quite nail just loses you customers. Most cheap supermarket coffee beans aren't worth a look but when people find one that does meet their needs, telling them that they shouldn't be liking them serves no purpose. No-one is saying it's the same or better than more expensive coffee, rather that it meets their needs at that time. Much like the odd decent wine would pop up in a cask (God forbid). There was one batch of Di Bortoli Cab Merlot a while back that comes to mind. Enjoy things for what they are rather than what they cost I say. No harm in trying. If it's not for you, move onto something that fulfills your particular needs. Last edited by CafeLotta; 1 Week Ago at 09:29 AM. Dimal, GrahamK, matth3wh and 5 others like this. All good points all around. I enjoy a good cuppa and do my best to brew a good one. i have good hardware in the form of a commercial machine and grinder, and my skills are not up there but not bottom of the bird cage either. And I am not broke, far from it. I have tried different roasters $50 coffee like Castro, Caffe moda, Goliat and others and always thought they were the bees knees. Then one day my daughter brought a packet of Aldi beans and I thought. What is the bloody difference? Very little if you ask me and certainly not worth $40 difference. And I agree that my home made coffee with Aldi beans is waaaaay superior to any coffee I have in any shop you care to point out, including those who sport $15,000 machines ... and I endure a lot of coffee from shops because I usually have no choice. Dimal, CafeLotta and StaticBlue like this. I think the quest for better coffee has many different paths that don't necessarily have the same endpoint for everyone. I finished the bag of Soul Origin beans today and they were quite good to the last drop. Next to go in my grinder is some CS Wow and the aroma that emerged when I opened the AusPost bag yesterday was mouth watering. However, i read back through the comments in this thread and I couldn't find any commendations that inspired me to try the Aldi beans. The consensus seems to be that they are good for supermarket beans and I've bought enough emergency supplies from a supermarket shelf to know that that is a low bar. Dimal, matth3wh, Yelta and 2 others like this. If you live near a Aldi you can try them and if you think they are crap just take them back for a full refund , Aldi offer a 60 day no quibble money back on all their products . I walk past an Aldi to get to Soul Origin. I suspect that the Aldi beans aren't crap. The point is I didn't see a good enough commendation to try them. As for the CS Wow! (I cracked the bag this morning) well the name says it all and at less than $20 for 500g, talk about value for money. You've got to give these a try. Not really Aldi supplying that refund but the poor roaster who supplied it (a friend of mine supplied Aldi with goods and that is their trading conditions). Aldi is a low cost operation which tries to move costs which are theirs onto others. Coles and Woolworths spend real money on people, trucks, call centres and apps to pick up abandoned trolleys. Aldi will not spend a cent relying on the local Council to do it. Our Council spent $40k total on a fortnights exercise to remove abondoned trolleys, Aldi was over represented compared to the small amount of shops. As a ratepayer I didn't feel happy to be paying for work which was the responsibility of a German supermarket mogul. Not trying to go off topic but Aldi aren't a virtuos company. Interesting observations 338, never really contemplated this aspect of their operation. To be honest, I wouldn't even consider returning a $10 bag of coffee beans, tried em, not impressed, wont buy em again, simple. Last edited by Yelta; 1 Week Ago at 11:56 AM. I find it hard to believe that any business will not seek to pass on costs for returned or defective goods to their suppliers. I hardly think Aldi are alone there. Speak to a few Australian farmers about the virtues of Coles and Woolies and you might be surprised. With respect to how they treat their staff, my sister was a HR manager at Coles for quite a few years. Now at another large co. They are no angels. Opened a bag of Aldi single origin Peru today. Date on it is june 20. It is a lighter roast. Pretty good. Better than the last 2 $40 bags I got from a local roaster. Can't complain at $14- odd. Last edited by warthog; 1 Week Ago at 09:28 AM. Talking about retrieval of shopping trollies, here's an interesting story. Warthog, they don't just pass on the cost of faulty or defective goods, as Buderim said it is a no quibble return policy. We see similar threads here from US members - "I bought a Breville bes920 and a Profitec 700 from Amazon, will return the one I don't like after 6 weeks". Someone pays for that and not Amazon. The poor roaster isn't saying his $14kg beans are better than a specialty roaster, but is geting a return because they aren't. Also not implying Coles or Woolies are good corporate citizens, in fact the opposite, even these two poor corporate citizens do better than Aldi. Ring your local Aldi and say you have one of their trolleys on the street, they won't do a thing. Saw that Yelta, good argument for mandatory wheel locks at supermarkets. Interesting, I'll believe almost anything of Bezos, like so many of the Silicon Valley elite he's a Rand disciple. Self serving arguments for the win. At a previous winery we dealt with Aldi and they were great, much better than the big two. Came in with a clear statement of what they wanted then stuck to it. In contrast we developed a product for one of the majors and they faffed around for months before committing. Lo and behold when we launched they had a competitor product ready to go in their own branded range (much of which is disguised by the way). 338 and warthog like this. How do you have yours? Prefer these over the medium roasts. I noticed all Aldi beans have a certain "medicinal" fragrance over them, not sure if it's to do with their packaging ? Running on to week 7 now and probably going stale on me (I use Aldi beans as buffer when i run out of CS beans.....). I guess the poor roaster has the option not to enter into the contract. I shop almost exclusively at Aldi given my sister's story. I save a shed load and I'm happy with the products and the service. In all the times I've been in there I have never seen anyone returning an opened food item so I'm guessing it is a rarity. With respect to the trolley return, are you suggesting the big 2 retrieve them because they are more responsible corporate citizens? As a cappuccino generally. Double shot head through the Breville 920. Tips : once you've opened the bag, split the beans into multiple air-tight glass jars and chuck them into a freezer (best if you also have the jars in an insulator bag or something - keeps temp fluctuation to a minimum). Portion them such that each jar lasts about 3 days or so. One jar out at a time. That freezing trick is something I've learned in the past when on tight budget : buy kilos (save on shipping) and freeze them down, works for any beans, not just Aldi's If done right, the last shots will be as good as the first shots. Otherwise, the beans get too stale by the end of the bag. matth3wh and cafelazio like this. That is exactly what I am saying, "with respect to trolley collection the big 2 are more responsible corporate citizens than Aldi" and further describing the big 2 from my own words "even these two poor corporate citizens do better than Aldi". So I am not describing the big 2 as good corporate citizens. It is my opinion the big 2 were shamed, cajoled, etc into collecting trolleys - hence the highly visible app with cardboard cutouts in store or hotline. I hope that Aldi also gets embarrassed to do the same. Interestingly I believe Aldi and Kmart spend way more than the industry average on PR, probably why I see all these weird stories in the papers concerning those two. Interesting you mention foodstuffs, my friend who supplied them was supplying clothing, what surprised him was the amount of returns where people had obviously worn the items. He also said Aldi knew more about packaging, warehousing and distribution than any company he had ever supplied. Lyrebird hadn't heard of Rand but you are correct. Amazon are harsh on suppliers to the point of cutting out some retailers once they know their trading figures. Something I tend to be guilty of too. However, I suspect imposing a cost on shonky retailers, by returning unserviceable junk, might encourage them to lift their game. If only it wasn't such a bother. Ok I'll accept they do better at trolley collection. I dont see this as the exclusive measure of their success as a corporate citizen. I have read more good reports of how well Aldi treat suppliers in comparison to the other 2. Combine that with the cost savings I am going to keep shopping there. PR and spending money on it, otherwise known as advertising. Yep they do spend a bit on it. I guess they have done the research on it and find it effective. Certainly their market share is growing. In my area colesworths collect them because the council impounds stray trolleys and levies hefty fees. In any event, suppliers say they are happier dealing with Aldi than Colesworths. Id don't believe shopping trolleys from Aldi are more common than wollies or coles. Far from it. 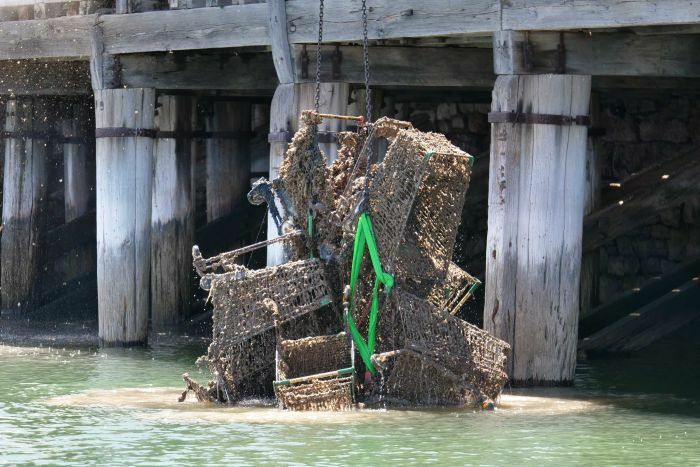 I see scores of abandoned trolleys from woolies, coles, target, big w you name it they are there. Never seen a single solitary aldi trolley either abandoned in a creek or on the footpath, and we have 5 Aldi in town. I once retrieved a trolley from the local creek and pushed it in front of my place and called the number on the handle. It was a target one. They took 3 weeks to pick it up. Assumptions about a company internal politics are nothing more than guessing or believing what one wants to believe. "I don't like germans so Aldi must be bad" or "Woolies has nice green shiny shopfronts so they must be good." Try talking to dairy farmers or meat producers about Wollies and listen carefully. Look at how they steal market from honest producers with their home brands, how they charge rent to display your product on their shelves etc etc. Always two side to the story. I think a few have missed my point, Australia has the most concentrated supermarket food market in the world, it used to be 80% controlled by two players. We have a little more competition now, but still it is low. I think all players have behaved badly, especially the dominant two misusing their power against smaller suppliers. The only time we realise is when something hits the paper, like the dog food situation or similar. My point is that Aldi isn't the feel good organisation that their pr portrays. Ps to imply I don't like Germans shows how ridiculous assumptions made over the net are. I am proud of my German heritage and have many German products. Nobody is claiming they are a shining light of philanthropic holier than thou corporate goodness. This is a thread on cheap and cheerful coffee. You began criticising their business practices. The point has been made in reply that other 2 are no better and in some respects worse. If it suits your palate fair enough. Most members of this forum have become quite discerning in their coffee tastes, and have invested heavily in this interest. After spending thousands of dollars on a quality espresso machine and grinder, $40 or more per kilo is hardly going to slow them down. 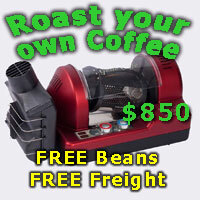 Of course once the interest progresses to home roasting the cost per KG for high quality coffee reduces considerably. Bear in mind, the more we know/learn about coffee, the higher our expectations of quality will be. Fair enough. I'm on my 2nd machine and not as far down the path perhaps. I don't favour the lazzio ones fom aldi but the single origin goers are pretty good. My wife has just told me she isn't so keen on the Peru. I'll get the Columbian again next. I go through about 750 grams a week, on my own. matth3wh and warthog like this.